Well I am hoping to partake in my first Guild Ball tournament as a competitor in, well lets just say it has been a while, so as well as admin I will be playing, hopefully another pundit will be on hand to actually run the tournament with me acting as a second judge. All this depends on getting a day off work so may or may not be a waste of time even starting to plan my team out. 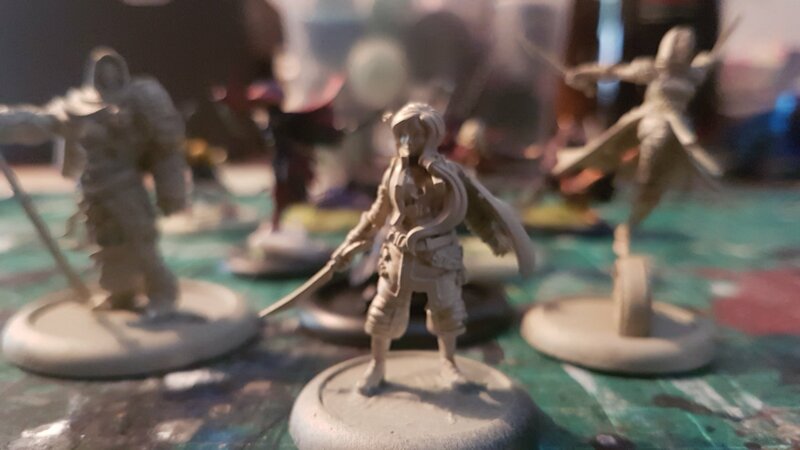 So now I have my first choice to make and that is what team shall I take, my trust worthy Union, my newly expanded Hunters, my WIP birthday present the Mortitions, or one of the thank you gifts from Steam Forged Games the Brewers or the Masons from the Kick Off 2 Player Starter. Anything other than Hunters or Union is going to require quite a few purchases as I only have a base team, Mortitions might not even be able to make that many. All of the teams need a hefty does off paint/repaint to get them up to scratch, although again the Union and Hunters are much further along, but to be honest I would like to strip both teams and start again (winter themed hunters). I am very tempted with a Solithican themed Union team, this will allow me to play all the season 3 releases and my favourites from the previous two seasons. Hunters would offer me some choices with the new Heralds of the Winter Moon but lack of play time with hunters could be a hindrance at the moment. This the Autumn Open in September? I’d go Union – they are a stronger team anyway, you have more experience with them and you sound like they are the ones you’d prefer to play. Happy to play a practice game down Athena some time if you need it – going to be using my Masons for a while so I’m always in need of practice! Thanks Sats when are you free? Yes it’s for the one at Athena.